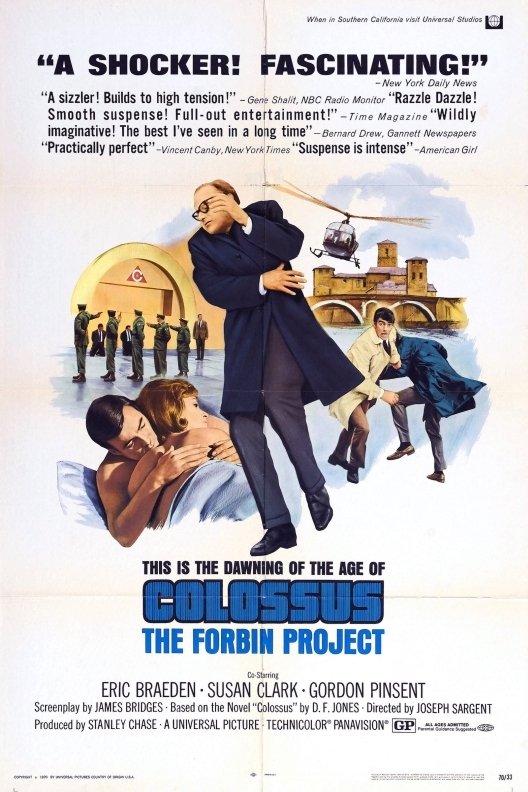 This week we get a brief reprieve from horror movie sequels to watch 1970's techno-thriller (for lack of a better way to describe it) Colossus: "The Forbin" Project, and no, that's not a typo. Apparently, at some point prior to the US release, some brainiac decided that what the title was missing was a set of quotation marks which were not only completely unnecessary, but which also didn't make any sense. Like, AT ALL. They might have been able to get away with it if Charles Forbin, the movie's alleged protagonist, referred to himself as "The Forbin" throughout the movie, but he doesn't, which is surprising considering how much of a smug jerk he already comes off as. ANYway, that's all besides the point. Colossus is about artificial intelligences outsmarting humans and enslaving us all, so basically it's a look into what our lives are going to be like in about five years. We, for one, welcome our new robot overlords! NEXT TIME: One of Dracula's lamer deaths, to be sure.